1. Your Representation. I started with this category because the realtor you choose to work with will have the strongest impact of all the factors mentioned above. Realtors are not interchangeable. There are significant differences between many of them. Do your homework and interview any prospective agent. Most buyers rely on their agent heavily for advice, pricing and tenacity in a market that is going to be lean on inventory. Your prospective agent should be a value-added proposition. If this is not the case, it’s time to move on. The last thing I would say about the representation that you choose, is that it should be local. With the type of market we are expecting and with demand in certain price ranges, you will need every possible advantage. 2. Your Lender Matters. In multiple offer situations everything in your offer will be put under a microscope. If you are financed by The Bank of Little Rock, an internet based-bank or even a California (but non-local) mortgage broker or bank, expect that to count as a strike against you in a multiple offer situation. Conversely, if you are financed by a well-known local broker, expect that to be a point in your favor and possibly enough to push your offer over the top if all other terms are somewhat similar. Remember that above anything else in your offer, the financing is the only items that is truly left to a third party, which will make the seller nervous. 3. What You Can Afford. The first thing I tell all of my buyers is that they need to understand that there is a difference between what you can be approved for and what you should actually be spending on a home. Many buyers struggle with finding their comfort level as it relates to home pricing. It is never a bad idea to run a prospective house purchase by a financial advisor or even your accountant, at the very least. 4. San Carlos’ Hot Sub Markets. As mentioned in a previous post, buyers would do well to understand where they stand in relation to other buyers competing against them. The single most difficult home to come by in San Carlos will be a four bedroom home in Howard Park/Oak Park/White Oaks. If you are in this buyer group, I cannot emphasize this enough: unless money is no object, a strategic plan will need to be in place in order to be successful. Under $725,000 on the west side and 3/2s between $800,000-$900,000 would be the other two groups. 5. Expect An Early Spring Market. The San Carlos spring market typically starts in March. This year, I would expect it to start in February. I say this based on listings our office has coming up and the overall feel of the market. 6. Avoid Paralysis Through Analysis. The internet has served real estate well. However, at times there can be so much information thrown at prospective buyers that they lose sight of the bigger picture. While you should certainly conduct your due diligence thoroughly before offering on any property, keep in mind that real estate has many variables for which there can be no assigned value: views, flow of a house, neighboring homes and comfort, are all factors which cannot be reduced to a data point. At a certain point you have to trust your instincts. 7. Don’t Lose Your Mind In A Multiple Offer Situation. It happens more often than you may think. I have had some of the calmest, most reasonable buyers temporarily lose touch with reality during the process. It is a difficult situation for most agents as well. Of course, I want to see my clients get the property….but, I also do not want them to wake up and regret the price the next day. Buyers tend to lose focus for a few reasons. The most common are: (1) it’s a dream home for the buyer and they have already taken the mental step of believing that it is for them and their family; and (2) some are simply extremely competitive. For me, having to reel a few buyers back in during this process has been the single most difficult thing I have had to do as an agent. That being said, most realize the error a day or two later and are thankful for the guidance. I’ve seen other agents do this as well in San Carlos. The good ones get it. Here’s how to avoid this problem>>> I have found this to be a reasonable solution: Operate on the assumption that a multiple offer situation is the signal to the rest of the market that the property is most likely underpriced. With this in mind, the buyer and the agent should undertake a thorough analysis of the property before the day of the offer and independently come up with the value. Typically, this is a small range. Then strategically apply that range to the offer process. If a counter offer or multiple counter offer comes into play, you already have your unbiased guideline in front of you and one that has less emotion attached to it. 8. Don’t Assume That The MLS Represents All Available Inventory. If you read this blog often enough you will know that there are a handful of homes transferring ownership off the MLS in San Carlos. 9. Tour Homes Before They Go To Market. Now, this isn’t always possible. However, if you and your agent are aware of a property coming onto the market, it never hurts to call the listing agent and ask for permission to see it ahead of the market debut. In the event that the property is one that you are interested in pursuing, you just gave yourself a leg up on the competition. 10. Think Outside The Box. Our local form real estate contract is somewhat limiting in areas. Just because a check box does not exist for an option that you believe would help your cause, don’t assume that you cannot offer that option to the seller. Well drafted addendums and clauses should always be seen as ways to give you an edge. Work with your agent on some of these possibilities. Usually, these clauses and addendums are tailored to the circumstances of the seller….so knowing the details of the seller’s situation is a must. 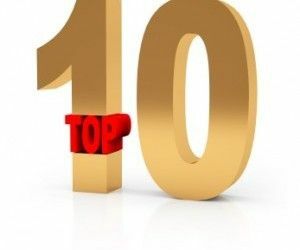 * Tomorrow’s post will highlight the Top 10 List for sellers in the 2012 San Carlos Market.